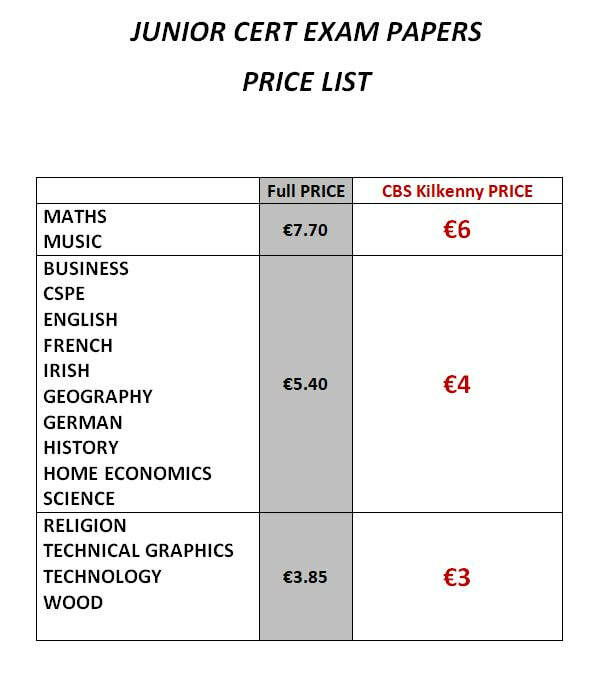 Every year we endeavour to source the JC and LC exam papers as competitively as possible. 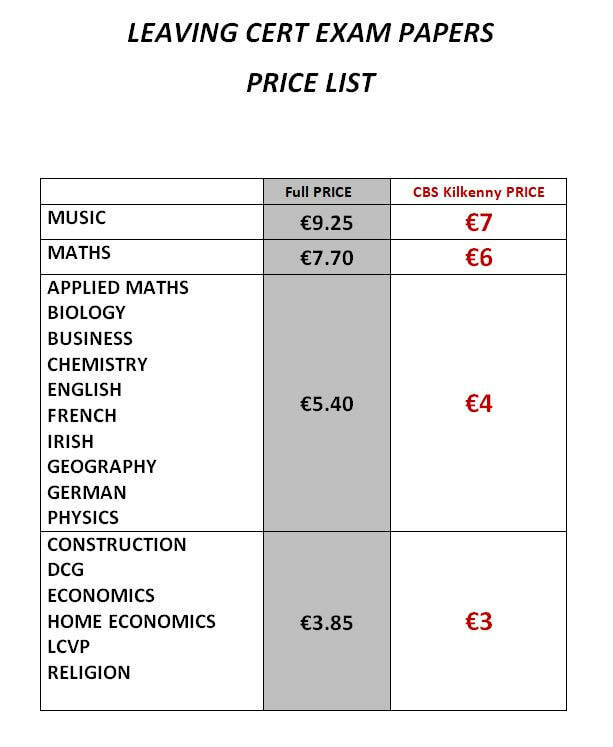 To this end, the following papers are available from the school library/shop at very reasonable prices. We encourage all students to purchase the papers as soon as possible as supplies cannot be guaranteed indefinitely.